Was eine „schnelle Antwort“ bzw. „quick response“ allgemein ist, und wozu sie gut ist, weiß Wikipedia QR-Code. 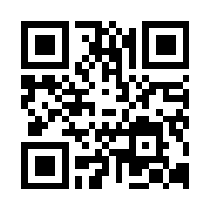 Erstellt wurde der QR-Code mit dem BeeTagg-QR-Generator. Getestet habe ich ihn natürlichg auch und ich bin gerade nach dem Scan des Codes daneben mit dem Handy auf die tolle Seite geleitet worden; er funktioniert also richtig. The NeoReader is a universal barcode scanning application that transforms your mobile phone into a barcode scanner and allows you to access mobile web content by scanning codes from print ads, publication, packaging, billboards, retail display, broadcast media, or any other medium. Universal means that the NeoReader scans all the standard code types (Data Matrix, QR codes, Aztec Codes, EAN, UPC, and Code 128), so NeoReader is the only scanning software you’ll need. 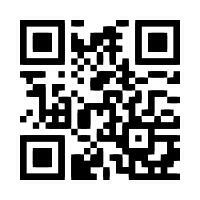 Scan this code to check weather in your region, in your city, or wherever you may be . To scan a smartcode position the code in the center of the screen and far enough away so the code appears well focussed. If the camera is too close, the code becomes too blurry to be reliably scanned. When „Overlay“ scan mode is activate, additional information, which might be contained in the code, will be shown on the screen. You must press the navigation key to scan the code. After a successful scan, select „Continue“ on the confirmation screen to start your mobile browser and connect to the content linked with the code. While the viewfinder is shown, the image can be zoomed in or out by pressing the navigation key up or down. If the automatic auto-focus is disabled in “Preferences“ (default), the auto-focus can be started manually with the delete key (C). Mobi Scan ist am Handy auch ganz gut verwendbar für mich und für die Webcam gibt es natürlich auch gute kostenlose Reader, vorausgesetzt man nutzt Linux oder BSD, ich verwende ZBar-tools, die direkt per Mausklick über das Software-Center in Ubuntu erhältlich sind. Auch dieser code führt sie auf ein interessantes Blog. Hat der gute, alte Fernseher ausgedient?